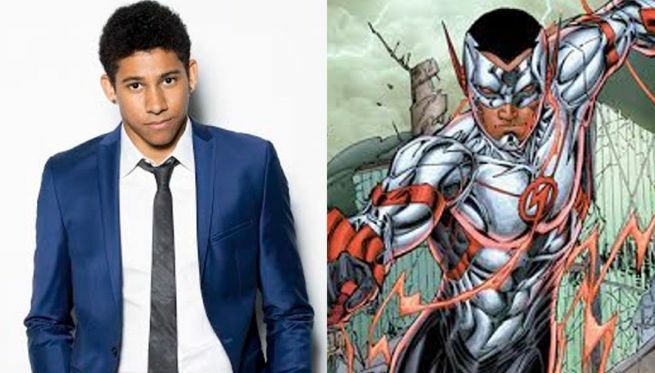 The Flash has cast Keiynan Lonsdale as Wally West. Racing onto the Flash’s second season later this winter, Lonsdale’s West will join the cast as a series regular. In the comics, Wally West was Barry Allen’s younger nephew who became the young speedster Kid Flash. Wally was Barry’s sidekick until he became The Flash himself, following Barry’s death saving the multiverse (as teased in Harrison Wells’ newspaper headline from the future). Lonsdale is best known for his work in the Divergent series, where he debuted as Uriah in Insurgent. He will reprise the role in Allegiant: Part 1. Wally West joins The Flash Season Two’s rapidly expanding cast, which will also welcome Zoom, Jay Garrick, and Patty Spivot. Are you excited to see Keiynan joining The Flash as Wally West? Let us know in the comments! The Flash Season Two premieres October 6 at 8:00 p.m. on The CW.